As Chile exported more wine during the 1980s, it became evident that, while it made some really good value reds, its white wines left much to be desired. In the 1970s the quality of Chilean wines greatly improved via the introduction of temperature controlled stainless still vats. With the introduction of new oak barriques, mostly of French origin, the 1989 vintage saw a transformation in the quality of Chardonnay, and with this it was widely imagined that Chile at long last cracked the secret to successful white wine production, but it soon became evident that even the best producers could not improve their dismal Sauvignon Blank. Why was this so? The problem was probably a cross between Semillion and Sauvignon. At that time the only Sauvignon Blank was found at Vina Canepa. Today Chile produces much better Whites including Sauvignon Blank. Should you be interested in one or the other vineyards listed above, please contact us. The price list is availiable on request. 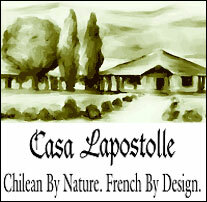 Casa lapostolle has been founded by the Marnier – Lapostolle family from France and the Rabat family from Chile in 1994 through Alexandra Marnier – Lapostolle, her husband Cyril de Bournet and Don Jose Rabat Gorchs. Today Lapostolle is owned 100% by the Marnier – Lapostolle group. The Marnier – Lapostolle family founder and owners of the world renowned liqueur, Grand Marnier are known for producing spirits and in creating Casa Lapostolle, the Marnier – Lapostolle family has pursued the same uncompromising approach to quality that made Gran Marnier a world wide success. Their objective is simple as it is ambitious to create world class wines using French expertise and the superb terroir of Chile. The whole venture started when Alexandra and Cyril had a ‘ coup de coeur ‘ for the Apalta vineyard in Colchagua. Chilean climate is perfect for vine growing. The vines have never been grafted. It was a revelation to discover that a good number of very old vines were still growing in the vineyards. These original cuttings were brought over from France in the last century and arrived in Chile before the dreaded phyloxera louse attacked the parent stock in Europe. 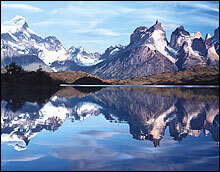 As a result, the old vines in Chile are healthy and descendant from great French. Today, casa Lapostolla owns 300 ha in three different vineyards and produce a total of 150.000 cases spread over Sauvignon Blanc, Chardonnay, Cabernet sauvignon, Merlot, Carmenere and Syrah.